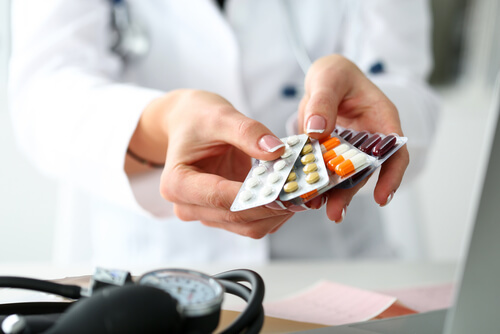 Prescription drug abuse refers to taking medication to achieve a desired change in sensations or feelings or taking another person’s prescription, even if this other person is suffering from a similar health condition. Sleeping pills are central nervous system depressants, one of three types of medication that are most commonly misused. Often, people who become dependent on sleeping pills will diversify their scope of use to include other, stronger kinds of drugs. This then increases the risk of developing serious health conditions or even suffering an overdose. Prescription drug addiction is often difficult to establish as the use of this medication is medically legitimate. The three most commonly abused types of medication are opioids, which are generally prescribed to treat pain, CNS depressants (tranquilizers, sedative-hypnotics), used to treat sleep disorders and anxiety, and stimulants. Prescription drug abuse can have dire medical consequences – unintentional overdoses on opioid pain relievers have increased fourfold in the past 20 years, outnumbering those on cocaine and heroin since 2002. Increased incidences of prescription drug misuse since 2003 are reflected in increased emergency room visits and treatment for prescription medication use disorders, the most severe type being dependence. Almost 12 percent of those who report nonmedical use of prescription medication meet the criteria for drug use disorder. Although people take prescription drugs responsibly in general, misuse is becoming a grave public health problem in the United States. An estimated 54 million people, or every fifth person over 12 years of age, have taken such medications without a prescription at least once in their lifetime. According to statistics of the 2014 National Survey on Drug Use and Health, over 2 million people in the US used prescription drugs for non-medical reasons for the first time that year, which corresponds to approximately 5,750 first-time prescription drug users per day. The majority of them were females, with approximately every third person being an adolescent. Ease of access is the main reason for this unfortunate tendency, although far from the only one. The number of prescriptions for many of the most commonly abused prescription drugs has increased dramatically in the past two decades. What is more, lack of sufficient awareness as to the addictive properties of these drugs and the view that they are less harmful than illegal drugs contribute to the problem. 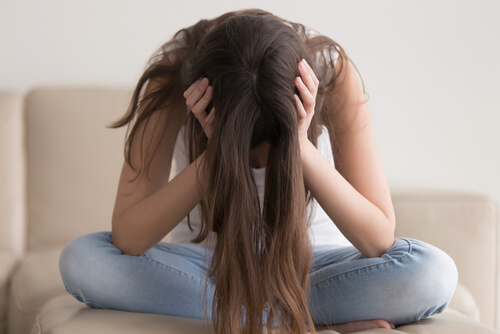 Although this particular drug addiction affects many individuals, certain populations face a higher risk, namely adolescents, women, and older adults. According to a 2015 government study, 1.6 of youths aged 12 to 17 reported nonmedical use of prescription pills in the past month. Such use was highest among individuals aged 18 to 25 – 4.6 percent of them reported having taken prescription medication recreationally. Prescription drugs are the ones most frequently used by high school seniors in the US after alcohol, marijuana, and tobacco. NIDA’s Monitoring the Future survey found that just under 10 percent of 12th graders reported past-year recreational use of the stimulant Adderall in 2017, while 2 percent reported taking Vicodin, a pain reliever, without a prescription. More than half of those surveyed said they either bought the drugs from a physical store or got them from a friend or relative. Teens who abused prescription drugs were also more likely to report drinking heavily and using marijuana and cocaine. A study by the American Academy of Pediatrics links medical use of prescription opioids to a greater risk of potential opioid misuse, particularly in teens who have minimal to no experience with drugs and disapprove of illegal drug use. Every fourth patient aged 57 to 85 uses at least one prescription drug on a daily basis, and over half of these patients take more than five medications every day. This population is particularly at risk of prescription drug abuse because of high rates of chronic illnesses, often characterized by constant pain, the potential of drug interactions, and age-related changes in drug metabolism. A large percentage of older adults also take dietary supplements and over-the-counter medication, which may exacerbate any adverse effects on health resulting from the (improper) use of prescription drugs, especially in combination with alcohol. More men than women misuse prescription drugs in all age groups except 12 to 17 years. The recreational use of all three types of prescription drugs is more frequent among teenage girls. In terms of nonmedical users, females in the above age group are also more likely to meet the medical criteria of a prescription drug use disorder. At present, prescription drug misuse and abuse and overdose incidences are more frequent among men, but the rates of abuse and overdose among women are increasing faster. Drugs in this category work by slowing down brain functions. Most of them work by adjusting the levels of the neurotransmitter GABA (gamma-amniobutyric acid) in the brain. This chemical is implicated in the communication system between cells. When its levels are changed or reduced, communication slows down, which is why depressants can be prescribed for anxiety disorders or posttraumatic stress disorder. When a person suffering from panic attacks feels the onset of one, a depressant can help ease their state of mind. The side effects of altered GABA pathways involve sensations of sedation and euphoria, which stimulate users to take this prescription medicine recreationally. CNS depressants can be misused alone or in combination with alcohol, cocaine, or other drugs. These mixtures can slow the respiratory system down to fatal levels. People addicted to depressants often have a hard time quitting alone and turn to a drug rehab facility in order to recover. As the name suggests, stimulants tend to enhance or boost brain function. They are commonly prescribed for attention deficit disorder and similar conditions where focus is impeded. People suffering from these conditions tend to feel worried and nervous all the time, but their focus and attention return when they take stimulants. Abuse of stimulants is rarely a problem for people with the correct diagnosis. A study on young people with ADD published in the Journal of the American Academy of Child & Adolescent Psychiatry showed that less than a quarter of participants used their medication inappropriately, where “inappropriate” use can mean selling it or making it available to others. People who don’t suffer from conditions like ADD, however, can become severely addicted to the rush of energy these drugs can bring. Opioids are the most addictive prescription drugs. This medication class includes painkillers and thus has a very wide range of applications. Practically every chronic illness, from spinal disc herniation and arthritis to cancer, is characterized by constant pain. This pain can be moderate to extremely severe depending on how far the disease has progressed. Prescription pain pills make the difference between having a relatively normal life, which can include being able to work, and a daily and nightly struggle that can be difficult to cope with long-term. People living with painful, incurable illnesses may feel entitled to use the medication as they please, and their loved ones have a hard time arguing with them. Moreover, few of these patients are under the false impression that painkillers actually treat their illnesses. They are aware their illnesses are untreatable. All these considerations make it difficult to treat addiction to this type of prescription medicine. This painkiller contains oxycodone and is prescribed to treat severe pain. There are extended-release formats of these prescription pills that deliver pain relief over a long period of time – up to 12 hours, which is a huge plus for people with horribly painful illnesses like cancer. Like all other prescription pain pills, these are crushed and sniffed or dissolved in water and injected, bringing on a very powerful high. Vicodin is designed to treat moderate to very strong pain, and it contains acetaminophen and hydrocodone. According to IMS Health, it was prescribed to 131 million people in 2011. When Vicodin is taken orally, it can have a relatively long half-life. Some users crush the pills and mix the powder with water to inject the drug, while others snort the powder. The drug then reaches the brain in several minutes. Acetaminophen is very dangerous for the liver, so long-term abuse of this prescription medicine can cause liver diseases, including cirrhosis. 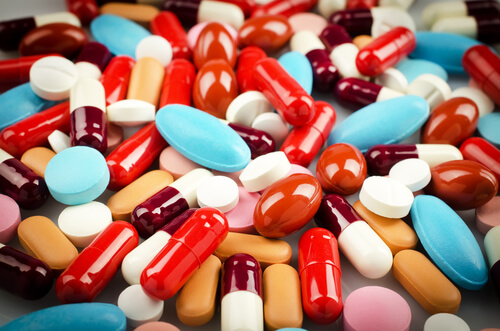 Norco is one of the most commonly abused prescription drugs. It contains hydrocodone and acetaminophen like Vicodin, and is so powerful that it often merits a comparison to morphine. It was labeled a Schedule II drug by the DEA in 2014 to help bring about stricter control over its use. However, it is still widely abused. Norco is very addictive because it contains synthetic endorphin. The body releases endorphin naturally in response to pain, and abuse of this drug eventually compromises this ability. Dilaudid contains hydromorphone and is prescribed to treat moderate to severe levels of pain. It is given post-surgery and comes in the form of capsules with varying release timeframes. It can also be injected or taken as a suppository. This prescription medicine is very addictive with an almost immediate effect on the brain. Tramadol can be misused even when prescribed by a doctor, and addicts can suffer from withdrawal symptoms such as irritability, mood swings, depression, and flu-like symptoms. Also known as “chill pills” or “trammies”, this opioid is not as strong as some of the others in this class, but can be addictive if used for a long period of time and in doses higher than prescribed. Finally, codeine is a mild painkiller that can be addictive if taken in combination with another or other prescription drugs. Valium is used to treat anxiety disorders and was one of the first types of prescription medicine in this class. Its active ingredient is diazepam, a benzodiazepine, and its half-life is short. Its effects can be felt in an hour or two. Valium can be very dangerous in combination with alcohol or other depressants, and overdosing can happen quickly. This benzodiazepine is designed to treat people suffering from panic and related anxiety disorders. The active ingredient, alprazolam, acts relatively fast. Users can feel its effects in minutes, which makes the drug very addictive. It comes in 0.25 mg, 0.5 mg, 1 mg, and 2 mg capsules. 1 mg of Xanax can be up to 10 times stronger than 1 mg of Valium. Xanax interacts with stimulants, alcohol, and painkillers, like all other depressants, and should not be combined with them. This medication is prescribed for panic disorders. The active ingredient in Klonopin is clonazepam, a fast-acting drug, the pharmaceutical properties of which are woefully underestimated. In 2011, up to 80,000 emergency room visits were associated with this prescription medicine alone. Gabapentin is used to treat seizures, post-herpetic neuralgia, diabetes, sciatic nerve pain, and many other pain conditions. Gabapentin abuse almost never involves just gabapentin. In most cases, it is taken with other medications. Adderall is a CNS stimulant mainly prescribed for attention deficit hyperactivity disorder (ADHD). The extended-release formulas of this drug are in high demand among people who are addicted to Adderall. The pills are crushed for the quickest possible effect. This prescription medicine contains forms of amphetamine and comes in 5 mg, 10 mg, and 20 mg tablets that dissolve in water. It is also used to treat ADHD. People who abuse it sometimes snort the powder. Ritalin is one of the most “abusable” prescription drugs, as it can deliver feelings of both euphoria and focus. It is especially popular among college students who want to be able to stay awake and study over extended periods of time. Ultimately, this leads to addiction and loss of ability to focus on work and studies, and students find themselves performing more and more poorly in school, sometimes to the point of failing. In the US, there is more control over the sale of these particular drugs than in other countries, as doctors will rarely prescribe more medication than they feel necessary. This leads people who have become addicted to source it from elsewhere or to use others’ prescriptions to obtain it illegally. In this case, the difference between using legal and illegal drugs becomes negligible, at least objectively and from a statutory standpoint. Subjectively speaking, however, there is a big difference. A person suffering from a medical condition will feel entitled to take as much prescription medicine as he or she sees fit, and it will be harder for their loved ones to convince them to consider the possibility of being addicted, much less getting treatment. Attempting to get them in touch with a professional would be an optimal start. When does legitimate medical use of a substance become abuse, and when does abuse become addiction? It is a gradual and stealthy process, often leaving one physically and emotionally drained and unable to change their habits. Drug addiction is present when the brain’s capacity to function without the medication is compromised. At this point, the use has caused permanent changes that one can no longer afford to ignore. The person feels an uncontrollable urge, driving them to keep abusing the prescription medicine although they realize how much it has harmed them. Inability to control use: The user loses control over how much and/or how often they take the medication. Tolerance: Users with this issue need to take more and more of a prescription drug in order to experience effects that once came with smaller amounts. Nothing can deter the use: The person continues using even though there have been some negative ramifications, such as medical emergencies, arrests, and financial troubles owing to need to feed the habit. Inability to take the medication in the doses prescribed: As much as an addict would like to limit or completely stop using the medication, they find they are unable to do so, and take all measures necessary to obtain the needed quantities of the drug, including getting loved ones to ask their doctors for prescriptions. Drug addiction treatment has helped quite a few users kick a prescription drug habit. Addiction treatment centers can offer a wide variety of beneficial services, but the majority of Americans have yet to avail themselves of these. NIDA statistics show that of the 22.7 million Americans who needed help for an addiction issue, just 2.5 million people enrolled in a specialty program in 2013. People who abuse prescription drugs are among those that need professional help most often because they frequently require medical detox services. Abuse of CNS depressants, for instance, can lead to seizures when the person tries to stop on their own, while people abusing opioids may experience severe flu-like symptoms when they attempt to quit. A medical detox program can apply alternative therapies and medicine as well as other techniques to limit distress, making sure withdrawal is safe and unpleasant sensations are brought down to a minimum. Drug rehab programs often combine cognitive behavioral and medication therapy. That means recovering addicts who enroll in these programs can work with therapists in order to find out why they started abusing drugs in the first place and how to prevent a relapse. Therapy makes it possible to learn coping skills that can be applied to rise to relapse challenges after completion of the program. In fact, relapse is the biggest challenge this particular group of drug users faces. A study published in the Irish Medical Journal showed that 91 percent of people addicted to painkillers who received treatment in a specialized program relapsed, the vast majority of them within a week of its completion. Relapse programs can be very beneficial, as they give knowledge about recognizing triggers. This way people become aware that they’ll be tempted to start abusing again, and they’ll know to access services as part of an aftercare plan. This keeps a potential relapse from paving the way for full-blown addiction. Prescription drugs are meant to help, not cause harm, and people can learn to control their use with the right help.